Welcome to Burley Fudge Shop, home to our own made artisan fudge. Buy fudge either in our shop or buy fudge online and gift boxed to suit your needs. 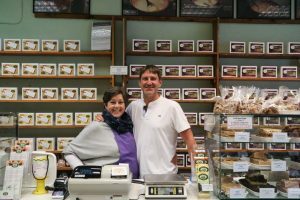 We are a family business and have been fudge making for 20 years. 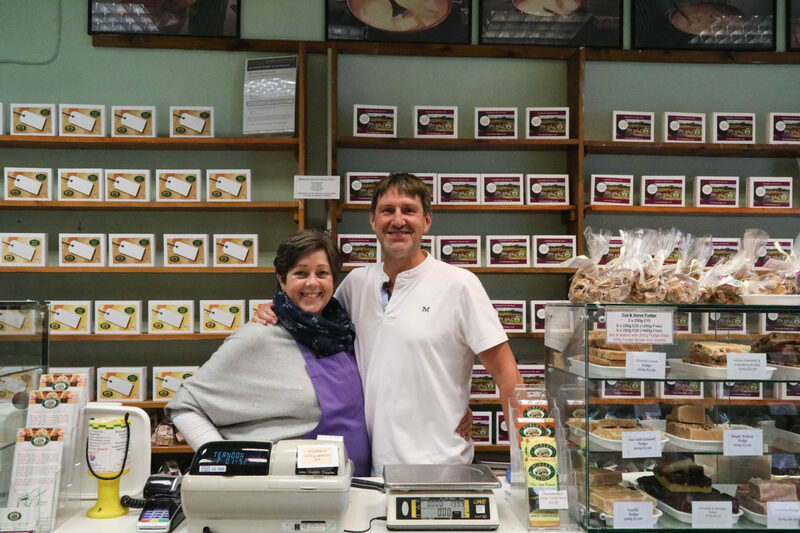 We are a fudge shop that is passionate about producing handmade artisan fudge of the highest quality and delivering the best customer service. Our fudge shop is situated in the small village of Burley in the heart of the New Forest, Hampshire. Burley is a quaint village and very popular with tourists. The village is famous for its free roaming ponies and cattle, witchcraft, tales of smuggling and dragons. Burley is the perfect place to relax and enjoy the New Forest. Facilities include Pubs, quaint tea shops, quirky gift shops, cycle hire, wagon rides, deer safari and some beautiful walks. There is plenty of parking for both cars and coaches and also a modern public convenience. As far as possible we will respond to our reviews and engage positively in resolving any issues. From Scottish butter tablet to chilli chocolate fudge, we are always experimenting with new tastes and offer a wide range of exciting and mouth-watering flavours made from the finest ingredients. We offer many fudge options catering for all tastes. The fudge lover will enjoy choosing from our different textures of fudge either hard and crumbly or smooth and creamy. We also cater for special dietary needs including gluten free fudge, vegan fudge, dairy free fudge and lactose free fudge. We have recently introduced a range of alternative sugar fudge using coconut nectar instead of granulated sugar. Our fudge comes packaged in a variety of ways depending whether you are buying fudge online or in the shop. Our standard in store offering is in a Burley Fudge logo paper bag and is normally sold in 200g (standard) or 600g (large) either as a single fudge flavour or as a mixed fudge bag. For purchases on line and in store we have prepackaged clear cellophane bags attractively finished with a gift tag and ribbon in both the 200g (standard) or 600g (large) sizes. In addition to developing fudge for special dietary needs we also have lots of fun creating new flavours. Every month we produce a new fudge flavour of the month, this can be quite challenging as we already have a range of over 30 of our own made fudges, however we always manage to come up with a new flavour either from our own inspiration or from one of our customers. If a new flavour proves to be popular then we will introduce it to our core range. At Burley Fudge Shop we pride ourselves on our customer service. Whether you’re looking for fun and festive corporate gift fudge, unique wedding favour fudge , gift boxed fudge for a loved one or to have a fudge subscription from our Fudge of the Month club, we will ensure that your fudge gift box not only tastes fantastic, but looks the part and arrives on time. Though we may be a small local business, our fudge shop kitchen is able to cope with even the largest orders and can produce over 160 kilos of fudge a day! For more information and to enquire about delivery, simply Email Us or call on 01425 403 513. We’re always happy to talk!